These colorful ring markers accommodate up to a US 13 needle. 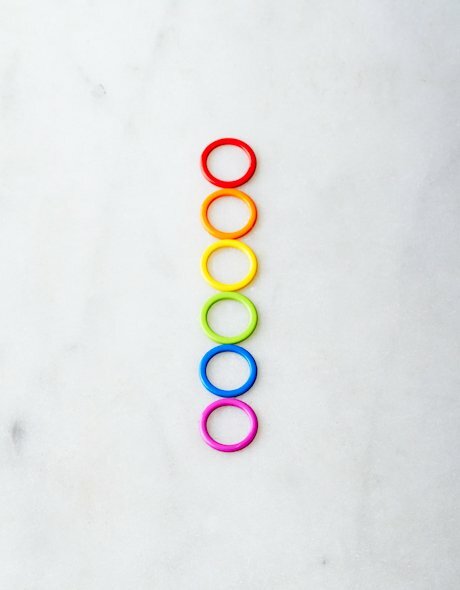 Included are 10 each of 6 bright colors to help you keep track of your knitting. When not in use, they attach to your Knitter's Keep. For smaller needles try the new Small Colored Ring Stitch Markers that work nicely with US 0 - US 7 size needles!